Quality, temperament, beauty, and health are several key aspects of our breeding program. I strive for excellence in breeding and raising these precious little pups. We have every one of our dogs genetically tested to ensure the healthiest of pups. 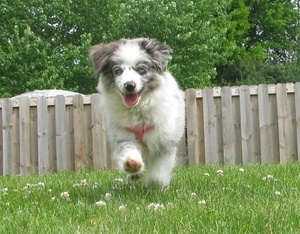 We are completely devoted to the Toy Aussies that live very comfortably in our clean, loving, indoor home environment.